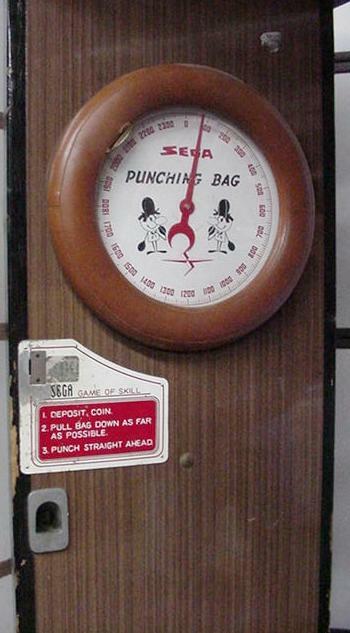 Description: Punching Bag, Sega, 1962, Sega's first arcade game, boxing strength testing game. 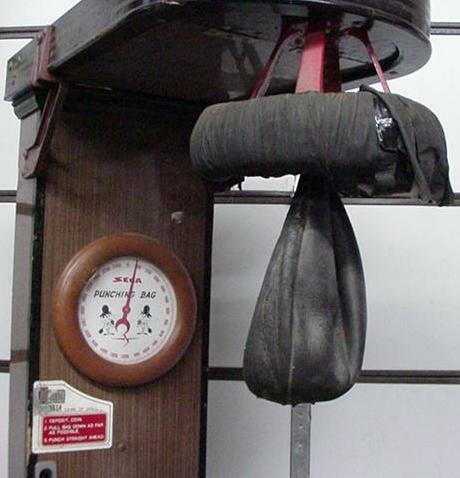 Gagpuncher is a strength type boxing and punching game. 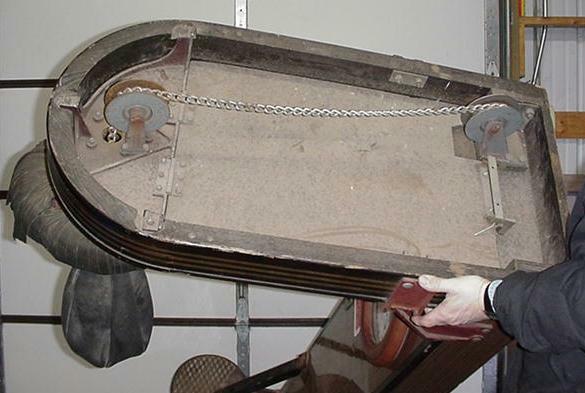 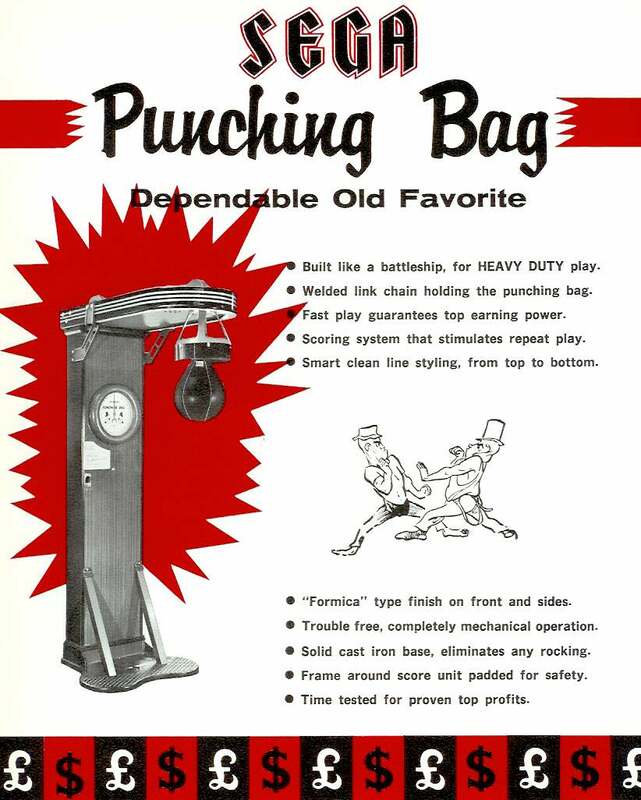 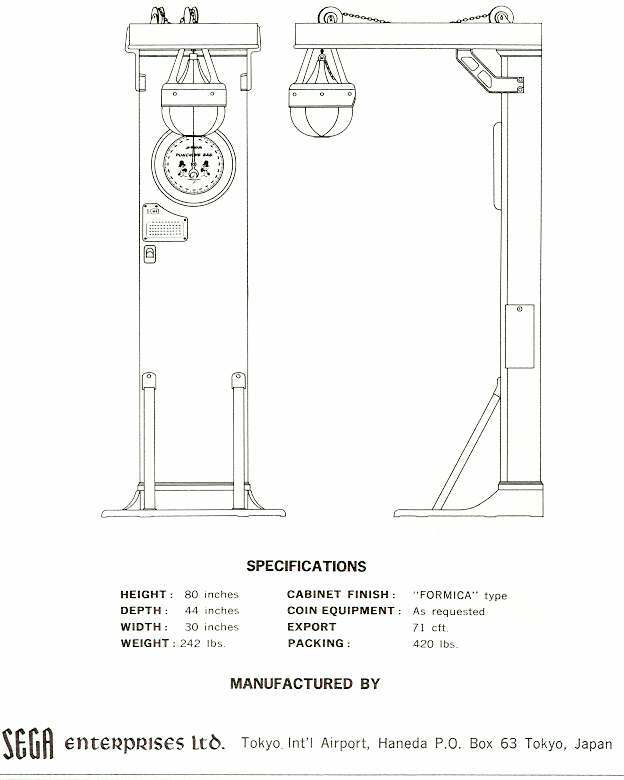 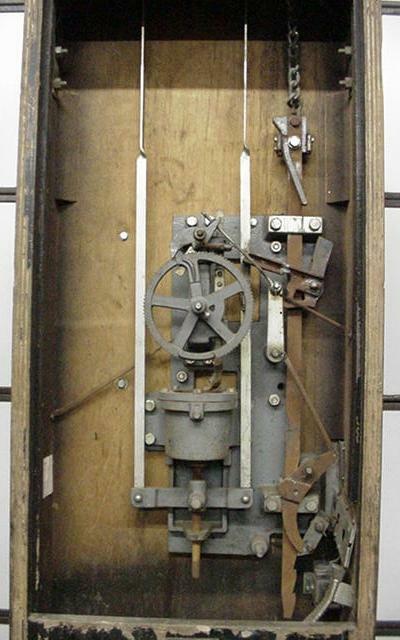 Very similar to Mill's 1900 Punching Bag and Bag Puncher, Mutoscope's Deliver the Punch / Punch a Bag (1910), and Exhibit Supply's 1941 Punch the Bag.